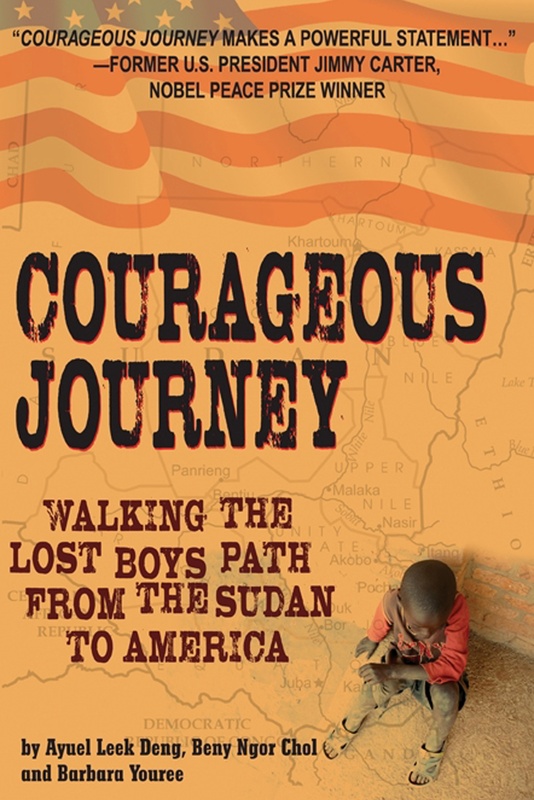 Courageous Journey: Walking the Lost Boys’ Path from the Sudan to America by Ayuel Leek Deng, Beny Ngor Chol, and Barbara Youree is a dramatic true story of how Ayuel and Beny, as small children, survived the destruction of their villages in Sudan, losing their parents and all that they had. They walked for months with thousands of other children across barren ground to finally arrive at a refugee camp in Ethiopia. After living in refugee camps there and in Kenya through their teen years, they finally came to the United States where they have now graduated from college. This is truly an account of triumph over adversity. For more about Ayuel and Beny, as well as Sudan and the new country of South Sudan check out www.sudanfaces.com. To order the book click here. Renaissance Brides is a collection of four novellas, combined under one cover. In sixteenth-century Europe, Francoise Chaplain is mourning the loss of her fiance and close family members. She, her mother, and one surviving brother find refuge on a farm in France, but they must escape war and sickness, and seek safety at a villa in Milan, Italy. There she encounters the attentions of the grand duke and the ravages of the plague – and more tragedy. Her only hope is in her relationship with God and the kindness of the man who loves her. Stefano Marinelli is at once taken with the beautiful Francoise, but he sees deep hurt in her eyes. He professes his love for her and asks her to become his wife. Could any man win Francoise’s silent heart? Costanza, a noble widow, lives on a vast seventeenth-century estate in Terni, Italy, north of Rome. While her adult son is away at the university, she and her teenage daughter, Anabella, are confronted with challenges of the estate. There is a fire in the vineyards, cattle are stolen, disputes arise among the servants, and unexpected visitors arrive. When Anabella is kidnapped by those who seek to claim to her dowry, Costanza must accept help from a handsome and wealthy merchant. When Antonio encounters Costanza, he is drawn to her family and faith. Assuming it should be easy to get what he wants, he proposes… but is rejected. Costanza would rather remain a widow than have a husband who is rarely home. She is enjoying her independent role of estate manager and will marry for no less than the deepest of love. Can Antonio persuade her that he can offer what she desires? 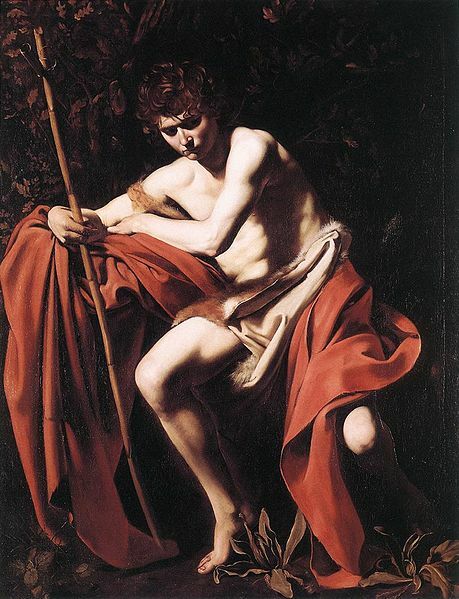 *Here is the painting by Caravaggio in Nelson-Atkins Museum of Art in Kansas City, MO. The fictional Marco Biliverti in Both Sides of the Easel posed as the model. Dear Barbara: I have been reading historical Romance and inspired romance books for 30 years. I am an Evangelist, 71 years old and have been a Christian for 40 years and have had two evangelism ministries over those years. Your writing is as good as Grace Livingstone Hill. Whenever I would read one of her books , I could hardly wait to get back to the story. You write in a way the keeps me spell bound and enjoyed Renaissance to the most delight. Loved your characters and the setting in Italy and how women struggled to be equal with men and to be acknowledged in Society as more then a woman with no brains or abilities except to stay home and be a trophy for the man. I wish and pray I would have the money to get all of your books. You are the very best. Love and Blessings Janet. My phone # is 604:535-6036 and my name is Janet Horbas and I live in Surrey, British Columbia, Canada. I am on facebook as well. I hope to hear from you really soon. You are an exceptional writer. Thank you.